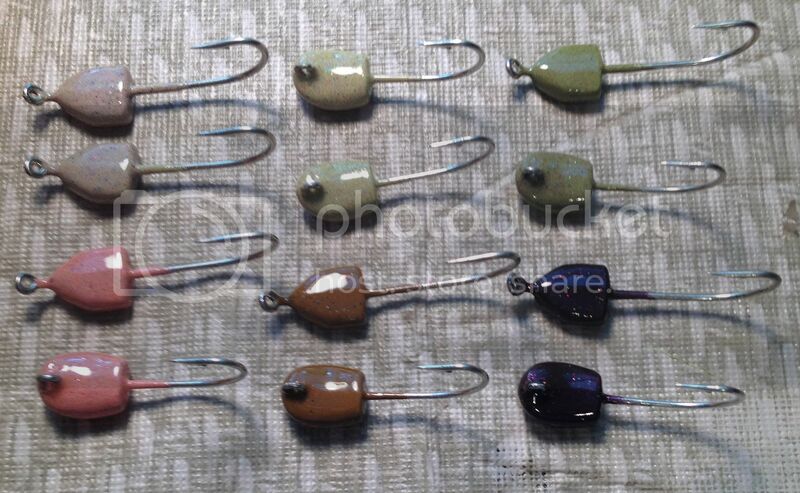 A few colors that I mixed up for flats fishing. Sand, Bonefish, Grass, Shrimp, Mud & Midnight. Re: Saltwater flats head colors. I like the midnight the best. Nice job. Those are Angler's Ammo heads. Cool jigs Whaler. Really like the shrimp color. I'd like to see a mold like that with a Wire Keeper (WB400/WB800) at the Head/Shank. Would be a Beast with 91768's and 32724's! That purple hued beast looks really nice. Like the name for it too. All of the colors are nice really and I enjoy seeing colors other than what I see in use up here. Really like the bone color. Powder or paint. Those are all nice colors. Old thread, though. salt water does flats the head hair color because it contain particles of salt in it which is harmful for our hairs. its better to boil that water and then you should take bath with that water or you can add some water chlorine into that water and wait for a while to let the salt sit down and then you can use the water.